Helps your plot stay viable in the worst of conditions! Maximize your food plot performance this year with Plot Max! This hurric-based, organic liquid carbon is easy to use... just add water and apply to your food plot with almost any sprayers. The results are incredible! With Plot Max, your plot is subject to far less stress when Mother Nature doesn't cooperate, leading to healthier growth so you don't waste money. And higher yields mean deer are more prone to make a habit of frequenting your plots and getting much-needed nutrition. 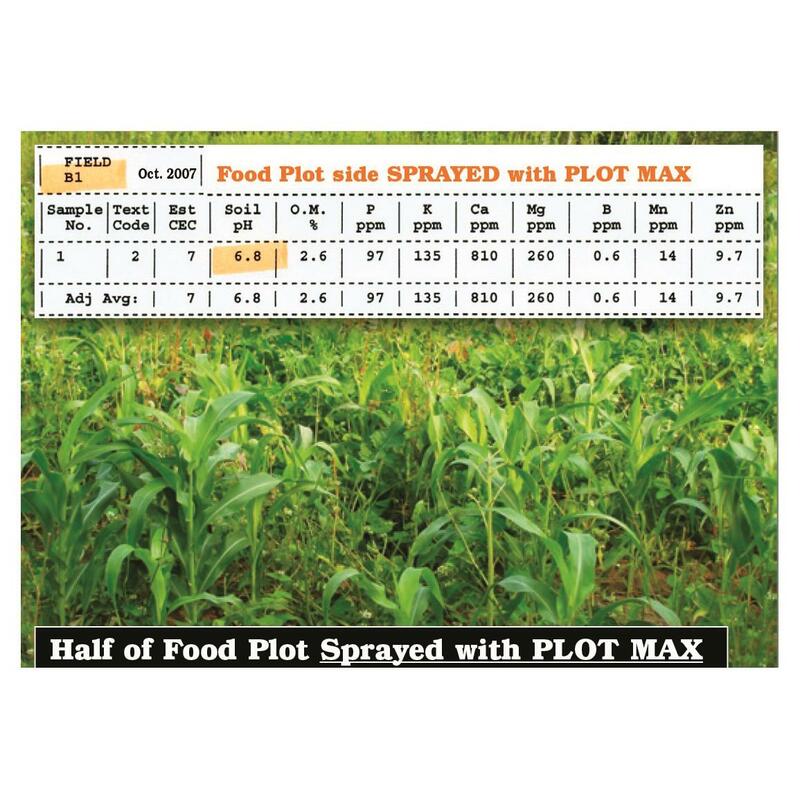 On top of that, Plot Max has been shown to increase the pH level in soil, which can improve fertilizer efficiency. For best results, apply in the spring and fall. 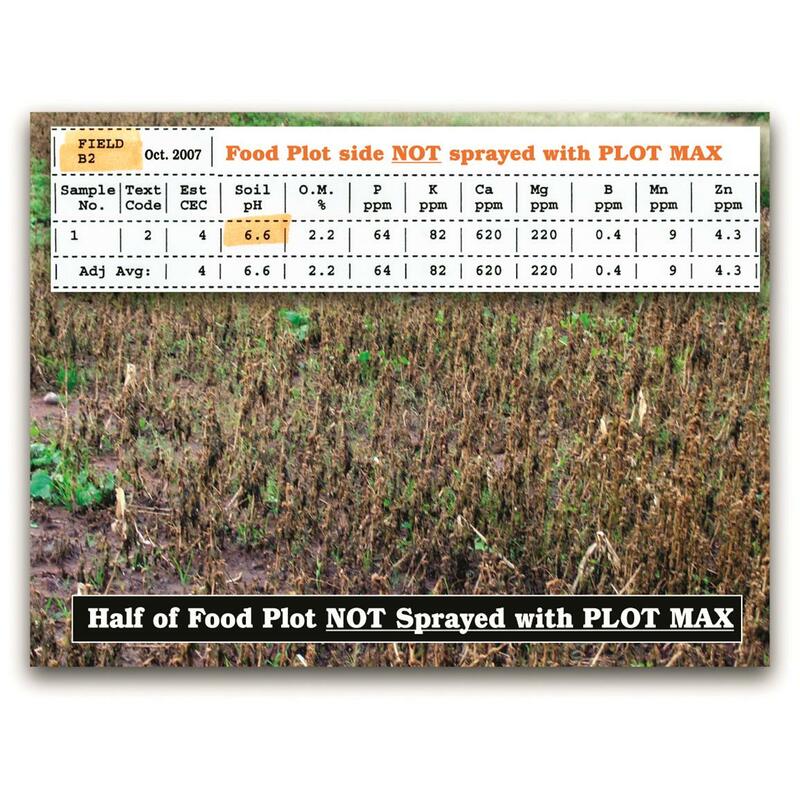 Save cash, and get the most out of your plot with Plot Max! 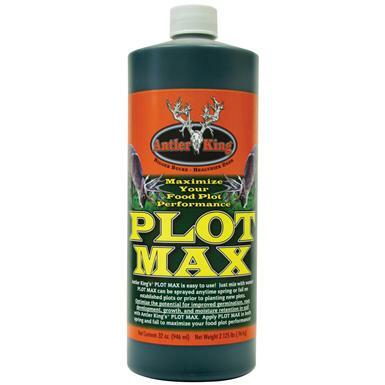 Antler King Gallon Plot Max, 2.5 Gallon Jug is rated 5.0 out of 5 by 1. Rated 5 out of 5 by FowlNutts from Impressive product! Sprayed this in my plot that was struggling with high heat and no rain last August. It exploded! Plots been growing amazing every year now, I just reapply this once a year! Keep the deer in your area fed and healthy. Keep the deer in your area fed and healthy!